Do you need some help choosing the next step in your life? Are you someone who is more practically minded, loves to work with their hands and solve creative tasks? If you answered yes to any of these questions, we’re here to help. University isn’t the right path for everyone which can be scary if that’s what the majority of your friends are planning for. We’re here to tell you that it’s perfectly okay to choose not to go to university. There are tons of other options out there including studying for other qualifications or jumping straight into the world of work. Choosing to pursue a career in a specific trade has many benefits both personally and financially. In fact, pursuing a trade career could give you the opportunity to achieve even more success both financially and personally than those who get graduate roles. To remind you that university isn’t your only option, we’ve created an infographic to show you some incredible career opportunities in a range of different trade roles, and exactly what you will need to get there. Read on to discover all kinds of different careers that in many ways, are even better than getting a degree. 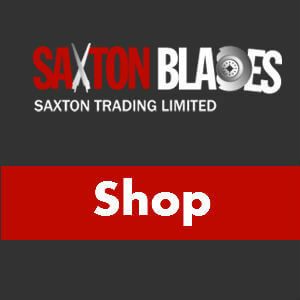 Copyright text 2016 by Saxton Blades Blog.